Located in the convenient Townes at Autumn Oaks, this lovely garage Townhome will be #1 on your list! Featuring 3 bedrooms, 2 Full and 2 Half bathrooms, a beautiful kitchen, and a one car garage, you won~t find another like it! The main level features gorgeous plank flooring throughout and includes a spacious kitchen with breakfast nook, lovely dining room, family room and a powder room. Hardwood stairs lead you to find two lovely bedrooms that share an upgraded hall bath, and a luxurious owner~s suite with tray ceiling, ample closet space and a nicely upgraded bathroom. The spacious laundry room is conveniently located on this level as well! The basement is fully-finished and features a recreation room, and a half bathroom. Walkout to your open yard, backing to common space. The low maintenance, Trex deck is the perfect spot to entertain and relax on nice days. Freshly painted, and only four years young. Enjoy the many amenities of Autumn Oaks, including trails, tot lots and access to the W&OD trail. Incredibly easy access to shopping and commuter routes as well as the future Silver Line Metro! SchoolsClick map icons below to view information for schools near 22854 Lacey Oak Terrace Sterling, VA 20166. Home for sale at 22854 Lacey Oak Terrace Sterling, VA 20166. Description: The home at 22854 Lacey Oak Terrace Sterling, VA 20166 with the MLS Number VALO316726 is currently listed at $477,000 and has been on the Sterling market for 77 days. 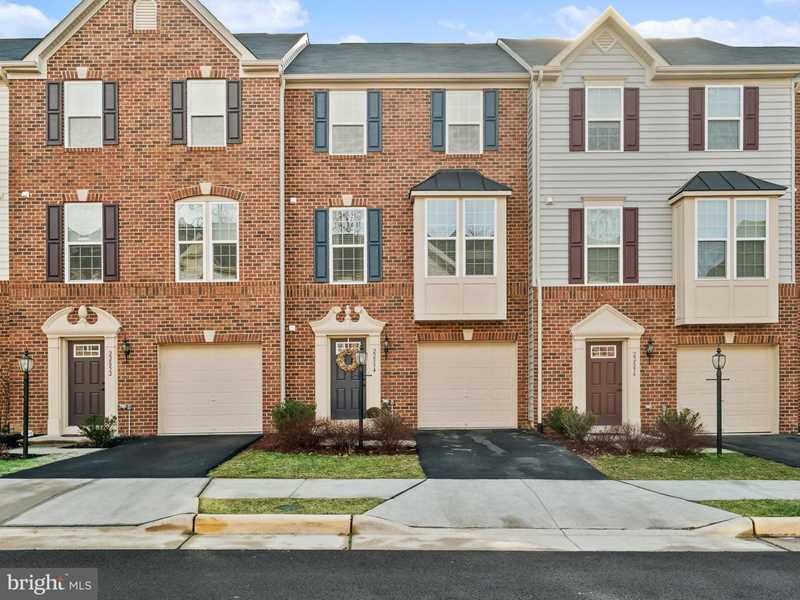 You are viewing the MLS property details of the home for sale at 22854 Lacey Oak Terrace Sterling, VA 20166, which is located in the Sterling subdivision, includes 3 bedrooms and 4 bathrooms, and has approximately 2334 sq.ft. of living area. The information being provided by Bright MLS is for the consumer's personal, non-commercial use and may not be used for any purpose other than to identify prospective properties consumer may be interested in purchasing. Any information relating to real estate for sale referenced on this web site comes from the Internet Data Exchange (IDX) program of the Bright MLS. Keller Williams Loudoun Gateway is not a Multiple Listing Service (MLS), nor does it offer MLS access. This website is a service of Keller Williams Loudoun Gateway, a broker participant of Bright MLS. This web site may reference real estate listing(s) held by a brokerage firm other than the broker and/or agent who owns this web site. The accuracy of all information, regardless of source, including but not limited to open house information, square footages and lot sizes, is deemed reliable but not guaranteed and should be personally verified through personal inspection by and/or with the appropriate professionals. The data contained herein is copyrighted by Bright MLS and is protected by all applicable copyright laws. Any unauthorized dissemination of this information is in violation of copyright laws and is strictly prohibited. Copyright 2019 Bright MLS. All rights reserved. © Copyright 2019 The Spear Realty Group. All Rights Reserved.